Here is a great selection of South Lake Tahoe vacation rentals including condos and homes. Whether you are looking for something small and charming or something spacious for the whole family, we have a space for everybody. 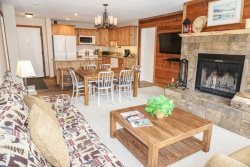 Our South Lake Tahoe home rentals are conveniently located near ski resorts, beach marinas, and other fun attractions. Choose from South Lake Tahoe cabins within lush green forests, or enjoy your time on the water in some of our other South Lake Tahoe home rentals. Additionally, no matter if you stay in our South Lake Tahoe cabins or in our condos or other housing, you will always have a way to get your exercise. You will be close to hiking trails, canals, and more. Our current options for housing are on the lakefront or in Christmas Valley. Regardless of the housing you stay in, you will experience perfect views. Come stay with us any time of the year!